‘I am only a clown who has understood his own times and has taken advantage as best he knew how of the imbecility, the vanity, and the cupidity of his contemporaries.’ Pablo Picasso’s critics always offer this famous denigration of his own art as proof that he was nothing more than a charlatan, shamelessly duping the 20th century into accepting him as its greatest artist. Unfortunately for them, these words are not Picasso’s, but those of an Italian journalist named Giovanni Papini, who quoted them in a fictitious interview with the artist published in 1951. 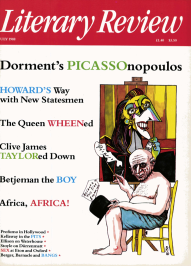 The fact that they are so often repeated – in 1969 Life Magazine was forced to print a retraction after using them as a full page caption to close a special issue devoted to Picasso, and a few weeks ago I came across them yet again in the pages of Country Life – suggests the depth of hostility and incomprehension which still exists towards Picasso’s art.